Places-to-visit-in-Dharamsala,Dharamsala,Dharamshala,Dalai Lama Temple,Dharamsala Hotels, Spiritual Retreats in India,Dharamsala Travel ! 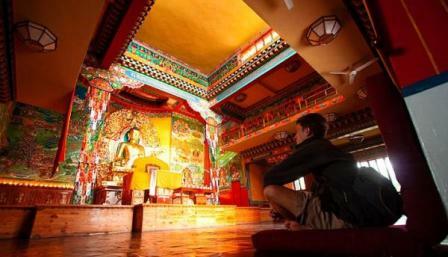 Places-to-visit-in-Dharamsala, which is today one of the most popular spiritual retreats in India. From the Dalai Lama temple in Dharamsala, to the ancient heritage of Kangra Fort in Dharamshala, centuries old Jwalamukhi temple, hindu shrines and budhhist monasteries, Dharamsala tourism is an exciting world to be in. 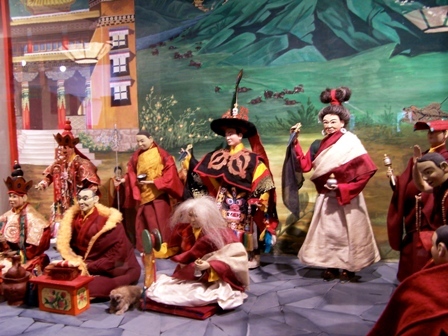 Dharamsala sightseeing guide would include many Places to visit in Dharamshala...! Your Dharamsala Travel will take you many interesting and sacred shrines in India. 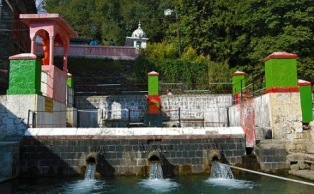 Dharamsala India, Dharamsala Sightseeings,Dharamsala Tourism,Dharamsala Taxi Stand,Dharamshala Bus Station, Dharamshala Travel ! Among Places-to-visit-in-Dharamsala...The Dalai Lama temple, is the first monastery which the Tibetan comuinity in exile made when the first came to the hill town of Dharamsala India. It is also known as Namagyal Monastery, Dalai Lama Monastery and is situated in Mcleodganj, which was the initial place of residence and activity for the Tibetan refugee settlement. As the days went by, this small town of 'Bhagsu' as it was named after the Bhagsunath temple, became a popular tourist destination in India where, people from all walks of life came to visit on a Dharamshala travel trip..! Sightseeing Dharamshala can be a memorable trip on your travel notes. The Tibetan Institute of Art & Craft in lower Dharamsala, buddhist monasteries, nunnery and famous temples like Chamunda Devi Temple, Brajeshwari Kangra Temple, Chintapurni Temple to the many trekking and camping points, Dharamsala Tourism is interesting to people looking for a unique vacation. As the tourism developed in this hill station of Dharamsala India, the accomodation of various kinds of Dharamsala Hotels, came along with it. The Dharamsala Bus Station is near Kotwali Bazaar, in main town area. There are taxi Stands available at almost all important Dharamsala sightseeing areas. For the best flavors of Dharamsala food and Himalayan hospitality, try the comfort of elegant home stays.at Vidya Niwas..! It would be an incomplete trip without mentioning the cuisine of Dharamsala.From the gourmet cuisine of the streets to the wide variety of International cuisine ...you can look forward to this experience. 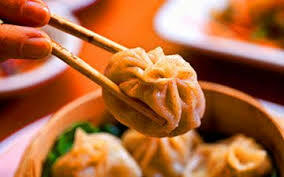 Momos are the most popular Tibetan food along with Thukpa and steaming Tibetan Tingmo bread. 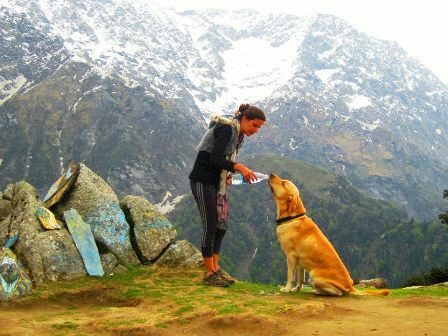 A visit to the Moon Peak ..Triund with a trek guide and camping overnight is an absolute must on your visit to Dharamsala. **For an exciting trip to Dharamsala...Contact Us ..! From Places to visit in Dharamsala..return to Dalai Lama Dharamsala..!